The housing ND3s provides access to all functions of the Nikon D3s with Liveview and info.The ergonomic SUBAL design and arrangement of all important elements of the housing allows the camera an easy operation without letting go of the handle. The camera is mounted on a special sled, to mount the camera with precision in the housing, this allows a more faster and secure mounting. A 4 mm O ring and the SUBAL QuickLock closure system, prevents accidental crushing of the O-ring, and ensures maximum safety. Select a flash connector (bulkhead) type to match your strobe sync cords. The standard Nikonos 5-pin is the most popular and versatile. A viewfinder is the critical link between your creative brain and the camera. The housing comes standard with a small full frame optical viewfinder. Upgrade to the 180 GS for a 150% increase in images size and stop squinting during the action. Prior to 2008, the Type 3 bayonet was standard issue. Subal now offers an optional larger Type 4 bayonet port opening. Type 4 housings require new Type 4 ports or a port adapter. The housing ND3s provides access to all functions of the Nikon D3s with Liveview and info.The ergonomic SUBAL design and arrangement of all important elements of the housing allows the camera an easy operation without letting go of the handle. The camera is mounted on a special sled, to mount the camera with precision in the housing, this allows a more faster and secure mounting. A 4 mm O ring and the SUBAL QuickLock closure system, prevents accidental crushing of the O-ring, and ensures maximum safety. Threaded holes at the base allows attaching Rails etc. Pilot lights can be attached or mounted to the top shoe. The monitor window provides a glare-free and high-contrast insight on the camera monitor. Material selection, processing, surface protection and finish conform to the usual standard level of quality that is all the SUBAL products. 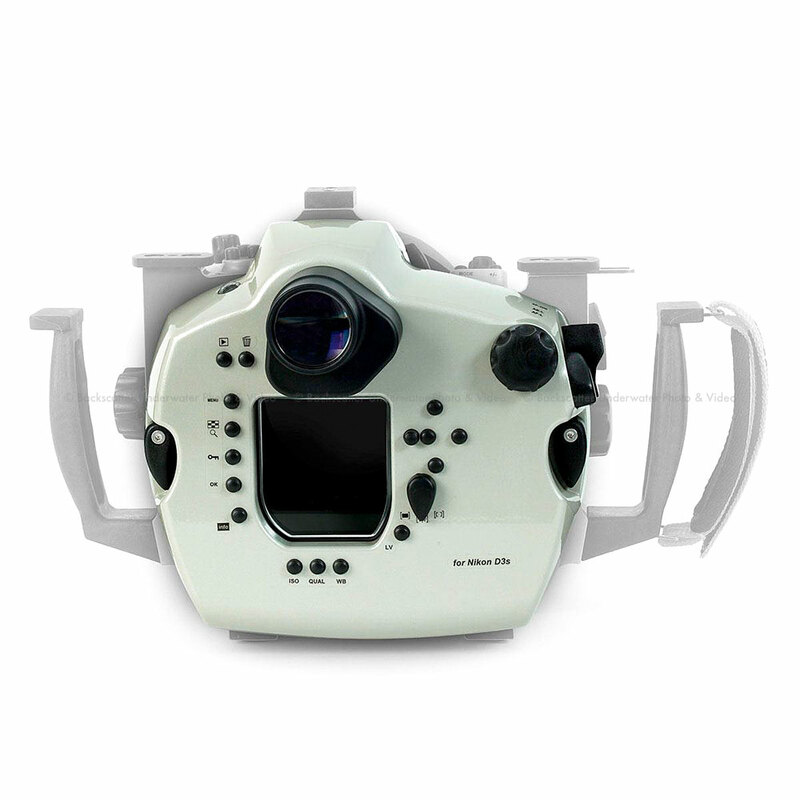 SUBAL offers for this housing model for the first time, 4 different search systems: the standard viewfinder slimmed reduces the viewfinder image, so that it can fully overlooked despite diving mask. The GS 180 and the 45_ viewfinder offer a viewfinder in size approximately corresponding to the camera's viewfinder, with the insight of the GS-180 horizontally, the insight of the WS-45 under 45_. The new Prism Finder PS-30 shows the camera monitor image at the same size at a viewing angle of 30_. The insight is with normal reading distance, which is why the PS-30 is ideal for video recording. All Subal viewfinders systems are interchangeable and can be mounted easily by the user. All SUBAL ports with bayonet mount on this case can be used (except DP-FE2). operation voters of types of, AF-lock, AF-ON.